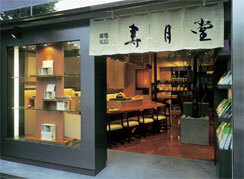 Jugetsudo Japanese tea house opened its doors in 2003 in the Tsukiji district of Tokyo, next to the parent company Maruyama Nori. 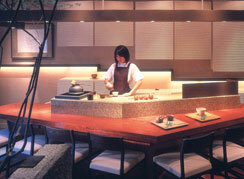 There you can savor delicious green tea in an atmosphere of natural and harmonious Japanese decor. Subsequently, Jugetsudo began to embark on the worldwide exportation of our authentic products. With our tea and through various activities, we would like to try to share a bit of Japanese culture and atmosphere with you.